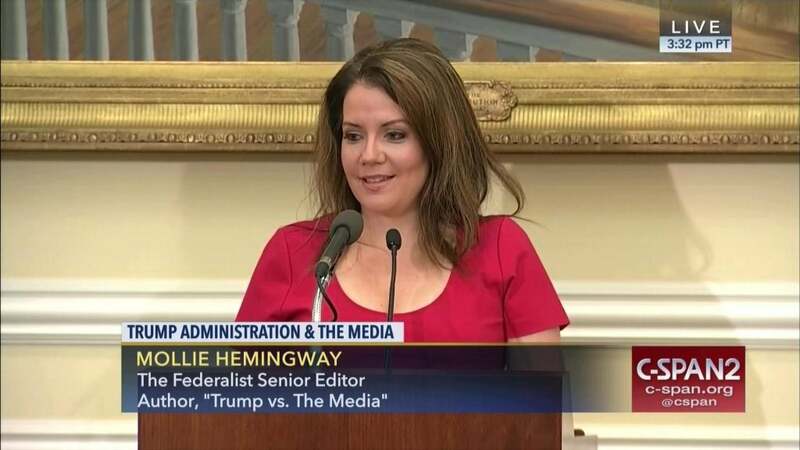 RUSH: Now, here’s Mollie Hemingway’s story. This is today at The Federalist. 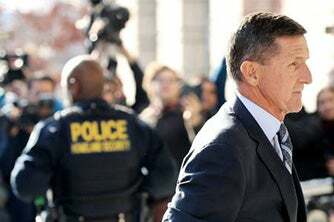 Here’s the headline: “REVEALED: Peter Strzok Had Personal Relationship With Recused Judge In Michael Flynn Case.” Let me give you the foundation of this story, which I have previously told you about. They go get a FISA warrant to spy on the Russian ambassador, Sergey Kislyak, who basically just goes to lunch. And during the transition, Michael Flynn, who would be the national security adviser, is talking to all these foreign leaders during the transition because that’s what people in the transition do. They begin to set up the new administration, get to know people. Well, the Russian ambassador’s being surveilled in a FISA warrant as many foreign actors are. It’s routine. Flynn was therefore overheard talking to Kislyak. So the FBI arranged for an interview with Flynn that he did not know was an interview. And Peter Strzok did it! Peter Strzok. And it happened at the White House. Flynn was at the White House one day, and he’s told that Peter Strzok wants to talk to him. Flynn says, “Okay,” thinking that it is an average, ordinary, everyday, run-of-the-mill meeting having to do with the transition. Flynn didn’t know that he was being officially interviewed for having committed potential crimes. So when it’s over what we know now is that Strzok did not think that Flynn had lied to him. We also know the Washington Post saw a transcript of this conversation, this interview between Strzok and Flynn, and the Washington Post in January of 2017 wrote a story concluding they didn’t think Flynn had lied. Yet, Flynn ends up being indicted for lying — well, he’s charged with lying and has pled, he’s copped a plea with the special counsel, even though the interviewing agent didn’t think he lied. So the question has been raised, did Mueller tell Flynn that the FBI didn’t think he lied? Well, the judge in all of this is are this gets really interesting. Peter Strzok had a personal relationship with the judge who accepted the guilty plea. That judge has since recused himself, and the new judge doesn’t like what he’s smelling in this case. Text messages obtained by The Federalist show that Peter Strzok and Lisa Page conspired to collude with this judge. His name is Rudolph Contreras. He’s also a FISA judge who presided over Flynn’s guilty plea and was later removed from the case. So Rudolph Contreras, a FISA judge as well as the judge that presided over Flynn’s guilty plea brokered by Mueller! Here you go, thick as thieves, this den, this establishment, this club, this whatever you want to call it. The fix was in to get Flynn from the get-go. Flynn has lost his house. He’s had to sell his house. All Michael Flynn has ever done is defend this country. He has worn the uniform of the military, and he’s been decorated. He ran the Defense Intelligence Agency for the Obama administration. He was one of the early sign-ons for Trump’s campaign. Meanwhile, nobody cares that Flynn’s lost his house. Nobody seems to care that Flynn has been railroaded. Nobody seems to care that the FBI agent, Strzok, who interviewed him didn’t even think he lied. He’s not even charged with any espionage. It’s just another process crime. The names of these judges are supposed to be classified. That’s no big deal that Strzok would know, but Strzok wants to get together with him? “Yeah, I knew he just made FISA, and we gotta get together.” Page and Strzok even schemed about how to set up a cocktail party or dinner party just so Contreras, Strzok, and Page could speak without arousing suspicion that they were colluding. Strzok expressed concern that a one-on-one meeting between the two men might require Contreras to recuse himself from things that involved Strzok. Contreras was then taken off the case when it was learned of all of this and that Strzok didn’t think Flynn had lied. The investigating agent didn’t think he had lied and is yet inspiring with the judge to get Flynn. How’d these people get up every day. They supposedly have all this intellect, they have all this character, they have all this integrity. These are the finest men and women Washington has to offer. And they’re skunks. I don’t know how they get up every day and do what they’re doing here. I really don’t. They must have no conscience whatsoever. It’s the only answer.